Nylon 66 / PA66 Bright Regrind w/Burns for Sale | XS Polymers International, LLC. The PA66 regrind is generated from reactor lumps / chunks / plops and purge patties. Why you should buy your Nylon 66 / PA66 materials from Chemco Services Inc.
1. Chemco offers a wide range of off grade resin, baled fibers, regrinds, and scrap. 3. Product consistency and quality you can trust. 4. History of 95% on time material shipments / deliveries. 5. Supply material free from cross contamination or foreign debris. Process N66 exclusively. 6. Provide recycled producer waste to be used for manufacturing Recycled Content Green Products. 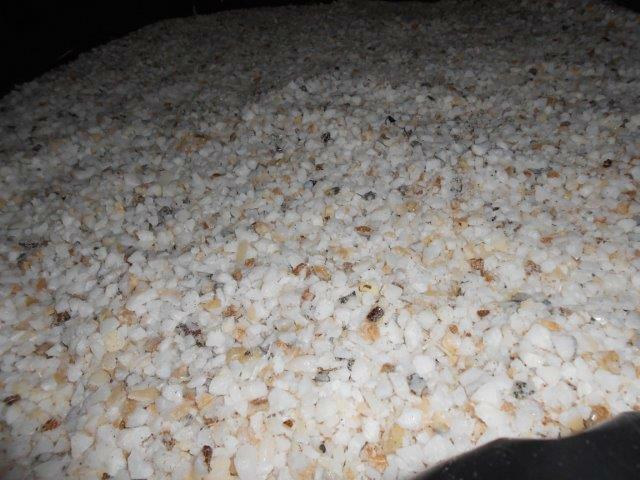 CSI sells: Nylon 66 Off-Grade / Wide Specification Pellets, Baled Fibers, and PA66 Regrinds / Scrap. Chemco Services has the following materials in stock that we want to sell in order to reduce our inventory. All of the materials listed below are PA66 off grade / wide specification resin and baled fibers. All of the Nylon 66 that CSI sells is marketed, sold and billed as off grade / wide specification PA66.